Having a baby is one of those utter life changing moments, one that happens so fast and goes so quickly! 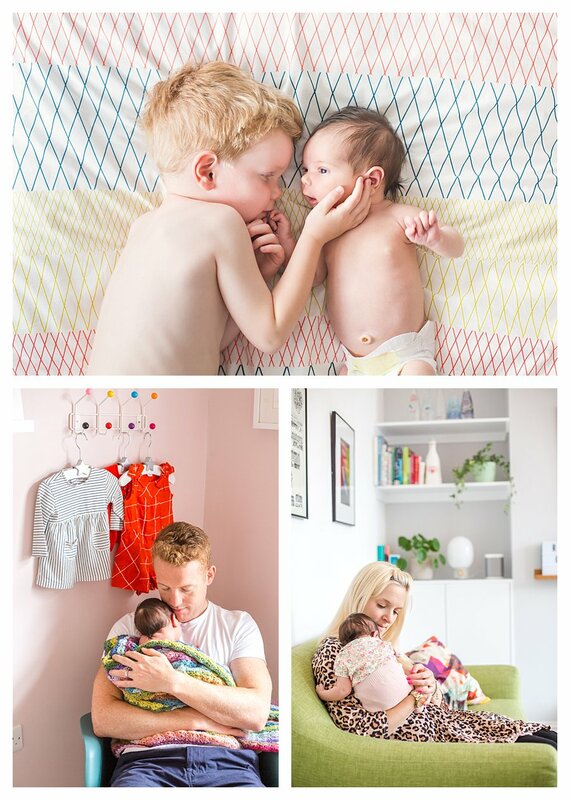 Capturing your beautiful newborn’s tininess and your bliss (and shock!) at their arrival is something so special and I am truly honoured to be able to create such happy memories for lifetimes to come. Before your shoot we will have a call so I can say hi and talk through what you are looking for and you can ask me any questions. Then in the first few weeks of your baby’s life I’ll come to your home for the shoot. You don’t have to go anywhere or worry about feeding and napping! I have my own little one so I totally get it, I will put you at ease and work around you and your baby. Together we will create beautiful and meaningful images of your new family in a fun & relaxed way. Shoots are usually 1.5 - 2 hours and best in the morning, when the light is just right. Two weeks after your shoot I will send you a link to your online gallery with all the images from your shoot. It is up to you how many images you would like to buy! Packages start from: £595 for 20 fully edited digital images. Once you’ve chosen your images and paid for your chosen package, your digital images will be available for instant download. with your due date and we can make a plan together!